Fishpool Farm, Leathley Lane, Leathley - �1.75m with Strutt & Parker, 01423 561274. A lot of people don’t quite know where the Washburn Valley is. That could be because it’s one of the few Yorkshire dales without a ‘dale’ suffix, or because it’s one of two locally to be excluded from the Yorkshire Dales national park when its boundaries were set in 1954 (the other is Nidderdale). Perhaps also because it’s more sparsely populated than its neighbouring valleys due to the fact that much of it was flooded in the 19th and 20th centuries to create Lindley Wood, Swinsty, Fewston and Thruscross reservoirs. Middle Ridge Barn, Timble - �550,000 with Carter Jonas, 01423 523423. For the record, then, it lies between Lower Nidderdale and Lower Wharfedale, north of Otley and west of Harrogate, and is actually a tributary of Wharfedale. As a part of the Nidderdale Area of Outstanding Natural Beauty, it’s as rural and pretty as many other dales, and it can feel wonderfully remote, particularly in the upper reaches. One of its greatest assets – and certainly its most visually obvious – is those reservoirs. They offer excellent opportunities for anglers and mountain-bikers, and the mix of coniferous and deciduous woodland, as well as upland and wetland, also make it superb for birdwatchers. There are no shops along the 16-mile length of the valley, but there is a handful of good pubs. Bride Cross Farm, Swinsty - �1.5m with Hopkinsons, 01423 501201. The property here can best be described as aspirational rather than affordable. These are, predominantly, converted agricultural buildings, and so are solid, spacious and highly covetable. Fishpool Farm, right at the foot of the dale in Leathley, is a case in point. Built in the mid-18th century, it’s a Grade II listed farmhouse and has four bedrooms, three bathrooms, three reception rooms, kitchen, utility room and boot room. There has been planning permission to convert the loft space into two further bedrooms, but that would have to be reapplied for. 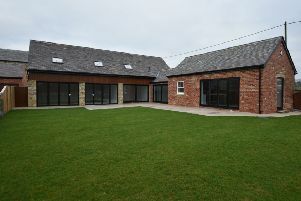 Outside, the former stables have been restored and renovated into an annexe, which is currently used as gym. 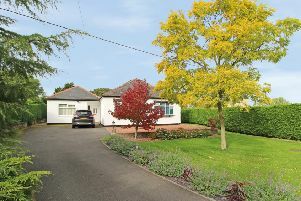 There are four garages with storage space above, south-facing gardens and a large natural garden which could be fenced to provide another paddock. A historic cave lies within a banked area and there is log cabin with triple doors which open onto decking and a secluded terrace with a pergola and built-in barbeque and pizza oven. A further 32.12 acres of land are available under a separate negotiation. Further up the dale, Bride Cross Farm was built in 1630 and is another Grade II listed property. Situated right by Swinsty reservoir, it has five bedrooms, two bathrooms, breakfast kitchen, music room and three reception rooms, one of them a stunning double-height living room with central fireplace and first-floor mezzanine. Outside, there’s a double garage and outbuildings, plus land extending to around 60 acres which is currently let for grazing and brings in about £6,000 a year. Finally, Middle Ridge Barn at Timble is another stone-built gem. It has three bedrooms, two bathrooms, open-plan kitchen-dining room, reception hall and sitting room. Outside, there is a large wrap-around garden, off-street parking, a single garage and stunning views towards Fewston and Swinsty reservoirs.